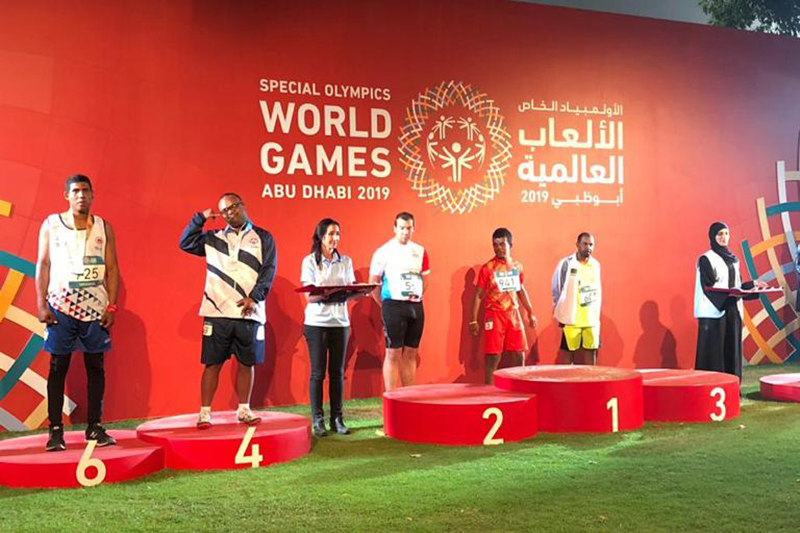 Bermuda’s athletes continue competing in the Special Olympic World Games in Abu Dhabi, where they are racking up the medals, with the island’s team having claimed medals in equestrian, track & field and bowling events. 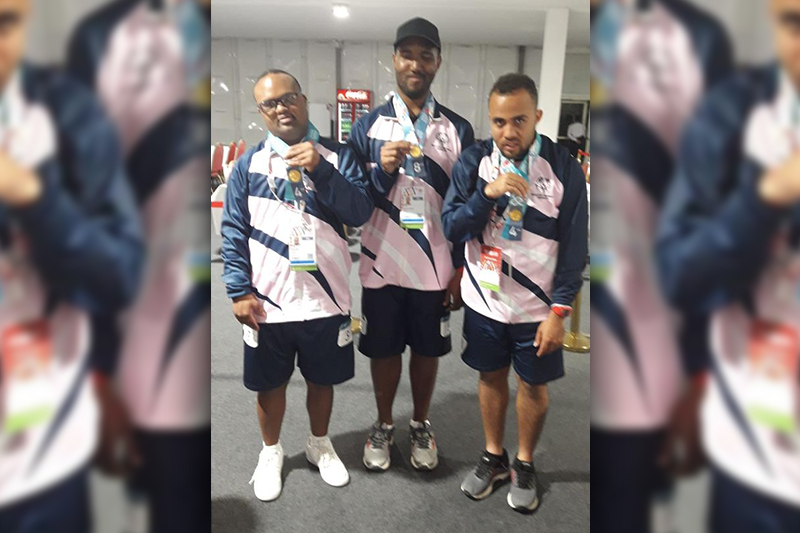 These World Games have eight places on the podium, and the Bermuda contingent has now collected a total of 14 medals with 3 silver, 2 bronze, 5 fourth place, 2 fifth place, one sixth and one eighth place medal. Danielle Gibbons finished 4th in the 100m clocking a time of 17.33, while Del-Che Landy finished 5th in the 400m in a time of 1:52.18, and Solay Thomas claimed a silver medal competing in the softball throw with a top toss of 12.20m. Eden Woollery, the island’s sole equestrian representative, won her second silver medal of the competition when they finished second in the Level CS – English Equitation Class. Micah Lambert, one of two tennis players representing Bermuda at these Games, fought hard in his match, but he went down in straight sets against his Australian opponent. Bermuda is fielding a 13-strong team at these World Games, with the island’s athletes competing in track and field, tennis, bowling and equestrian. They join some 7,500 athletes who are representing almost 200 nations, and the Games will continue until Thursday. Congratulations to the best examples of what it means to be proud and committed Bermudians! Well done team Bermuda! Congratulations to all the participants – amazing achievements! WELL DONE to these achievers. They prove that, despite challenges anyone who is dedicated and determined can achieve the highest standards.